Misanthropy is the general hatred, distrust or disdain of the human species or human nature. A misanthrope, or misanthropist is someone who holds such views or feelings. The word's origin is from Greek words μῖσος (misos, "hatred") and ἄνθρωπος (anthrōpos, "man, human"). The condition is often confused with asociality or an inhumane, antisocial, or sociopathic attitude towards humanity. Misanthropy has been ascribed to a number of writers of satire, such as William S. Gilbert ("I hate my fellow-man"). Jonathan Swift is widely believed to be misanthropic (see A Tale of a Tub and, most especially, Book IV of Gulliver's Travels). 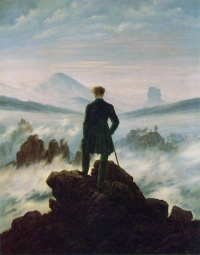 In Western philosophy, misanthropy has been connected to isolation from human society. In Plato's Phaedo, Socrates defines the misanthrope in relation to his fellow man: "Misanthropy develops when without art one puts complete trust in somebody thinking the man absolutely true and sound and reliable and then a little later discovers him to be bad and unreliable...and when it happens to someone often...he ends up...hating everyone." Misanthropy, then, is presented as the result of thwarted expectations or even excessively naive optimism, since Plato argues that "art" would have allowed the potential misanthrope to recognize that the majority of men are to be found in between good and evil. Aristotle follows a more ontological route: the misanthrope, as an essentially solitary man, is not a man at all: he must be a beast or a god, a view reflected in the Renaissance of misanthropy as a "beast-like state." It is important to distinguish between philosophical pessimism and misanthropy. Immanuel Kant said that "Of the crooked timber of humanity, no straight thing can ever be made," and yet this was not an expression of the uselessness of mankind itself. Kant further stated that hatred of mankind can take two distinctive forms, aversion from men (Anthropophobia) or enmity towards them. The condition can arise partly from dislike and partly from ill-will. Another example of mistaken misanthropy is Jean-Paul Sartre's quote "Hell is other people." On the face of it, this looks deeply misanthropic, but actually Sartre may have been referring to the way in which others perceive us as an individual. Sartre was not conventionally handsome, and the idea that he could not control the way other people saw him was a great trouble of his. "Hell is other people" may refer to the self-conscious torment that one goes through when unable to escape the judgments of others. The German philosopher Arthur Schopenhauer (an early influence on Friedrich Nietzsche) on the other hand, was as famously misanthropic as his reputation, which included his philosophical antinatalism. He wrote that "human existence must be a kind of error." It should be added, however, that misanthropy does not necessarily equate with an inhumane attitude towards humanity. Schopenhauer concluded, in fact, that ethical treatment of others was the best attitude, for we are all fellow sufferers and all part of the same will-to-live; he also discussed suicide with a sympathetic understanding which was rare in his own time, when it was largely a taboo subject. Martin Heidegger had also been said to show misanthropy in his concern of the "they" — the tendency of people to conform to one view, which no-one has really thought through, but is just followed because, "they say so". This might be thought of as more of a criticism of conformity rather than people in general. Unlike Schopenhauer, Heidegger was opposed to any systematic ethics, however in some of his later thought he does see the possibility of harmony between people, as part of the four-fold, mortals, gods, earth and sky. Unless indicated otherwise, the text in this article is either based on Wikipedia article "Misanthropy" or another language Wikipedia page thereof used under the terms of the GNU Free Documentation License; or on original research by Jahsonic and friends. See Art and Popular Culture's copyright notice. This page was last modified 17:36, 10 December 2018.